Members of the gardening club went to the local cemetery to support with the improvement of one of the gardens of remembrance this lunchtime. Well done to the children for their hard work and thank you to Mrs Moore for organising the opportunity with Bournemouth council. The children were superb throughout and represented our academy incredibly well. 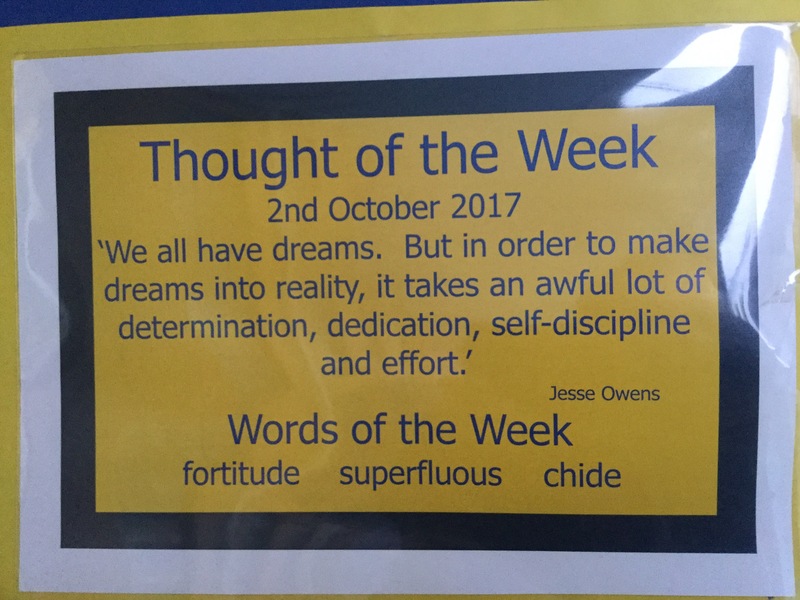 This week’s thought comes from Jesse Owens, who showed a huge amount of grit and courage to win 4 gold medals in Berlin in 1936. The children all found out information about this significant individual during today’s assembly and have been challenged to demonstrate grit at school this week. This week’s thought was shared in this morning’s assembly with the story of Ferdinand Magellan’s adventures around the globe.